Located in the heart of Columbus, Ohio, Karn Meats has been one of the largest independent meat processors in the Midwest since the 1920s. Specializing in raw and cooked custom meat products, our central Ohio location allows for convenient distribution to restaurants, manufacturers and other food service outlets throughout the nation. 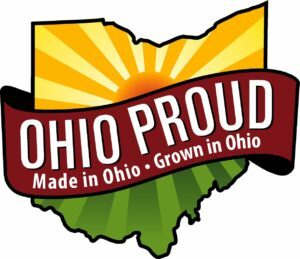 On behalf of our entire team, we are proud to announce that Peggy’s Pride, a renowned custom fully cooked meat processor in Columbus, is joining the Karn Meats family! Peggy’s Pride clients will continue to receive the same great service and products, from the same amazing people – just simply from across town. Have additional questions about the partnership? Give us a call at (800) 221-9585. Karn Meats services the entirety of the food service industry, but we specialize in restaurant chains, distributors and further food processors. We are also a major producer and processor of MRE components for ready-to-eat products, for both military and outdoor applications. We ensure product safety and quality through our HACCP program. We pride ourselves in adhering to strict safety guidelines for a meat processor as established by the USDA. Karn Meats Services — It’s what we do ..
Our acclaimed team is among the largest wholesale meats producers, pork manufacturers, MRE component processors and custom meat processors in the nation. At Karn Meats, we take great pride in providing our customers with the products they want and with transparent customer service. We have you covered, whether you’re in need of ground beef patties, gyro slices, or customized products such as pot roast, meatloaf, pork loins, or our line of shredded beef, shredded pork and shredded chicken. We are the custom meat processor of choice for chain restaurants, food service institutions, further processors and the military. Cooked ground beef crumbles have become one of our best selling items, due to the long shelf life and the variety of uses for this product, such as chili. Cubed beef stew meat is perfect for a variety of applications. Karn Meats can customize not only the size but also provide any type of seasoning profile our customer desires. 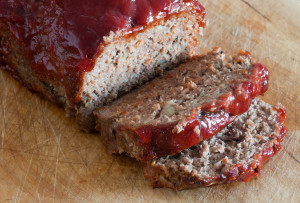 Everyone grew up with their own family meatloaf recipe and idea of how the entree should taste. Whether its homestyle, Italian, or something in between, contact Karn Meats today and we’ll reproduce that signature flavor on a large scale. View our line of wholesale processed meats here. View our line of cooked meat products here.